A great WordPress theme is a useful tool to show off your amazing videos. If you are creating a video centric site in WordPress, then you need a theme that contributes to the attractive and interactive format of video content. While almost WordPress themes are designed for multiple post formats, sometimes they don’t have enough features to build a site with mainly video content. The followings are some of very best WordPress themes for video that help you get started with amount of features for a video site. 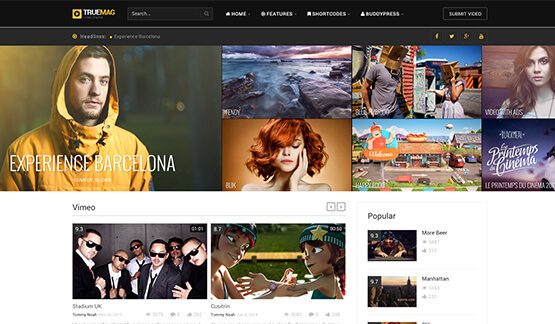 True Mag is an ideal option for WordPress Theme for Video Hosting websites, Video portfolio and Magazine. It allows you to deliver your amazing content to viewers. It is built with the best practices of UI, UX and SEO. True Mag is used by more than 2000 video owners to host ten thousands of videos. This theme is suitable for any video businesses. NewsTube is a best WordPress theme for video blog. This is an ideal option for the bloggers who have many niches to host on their blog. A lot of great features come with this theme such as responsive design, custom widgets, simple control panel and unlimited options for deciding the color schemes for your blog. onPlay is a theme with magazine style. It is used for adding featured content and videos into main slider. You can also put more tabbed featured categories. 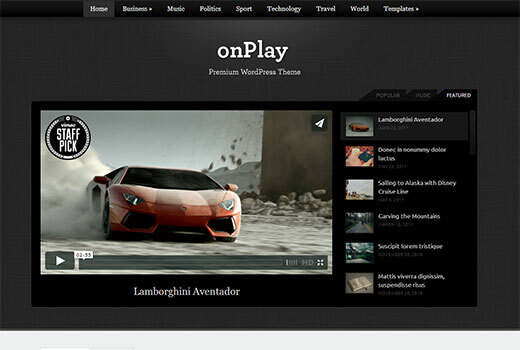 Built with HTML5, onPlay consists of built-in support for headers, background and custom logo. Shortcodes are come with it to add different elements into your posts and pages. 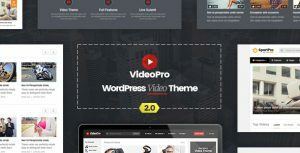 Vidiho is one of the best WordPress themes for video blog. It comes with a large slider on the homepage so that you can display you video in HD. An interesting feature is that when you click a video thumbnail, the video in the post is opened in a lightbox popup. Additionally, it also comes with a lot of great features such as shortcodes, page layout, widgets and social media integration. Videogrid brings you both light and dark color variations. 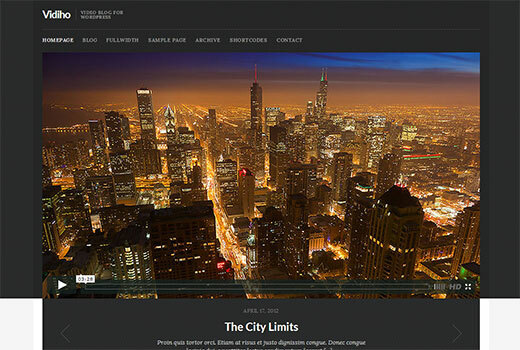 It is also integrated jQuery lightbox for images and videos. Another great feature is the sorting filters which allow users to sort content by featured, most liked and most commented videos. Especially, you don’t need to reload the page when applying this feature. 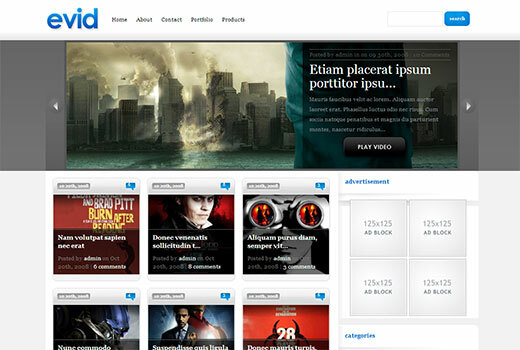 VideoCraft which is developed by InkThemes comes with a feature rich WordPress video theme. It is one of the best responsive WordPress themes for video with two colors of skin. It has a slider on the main page where shows featured, popular and related videos. It also allows you to upload and share your own video. 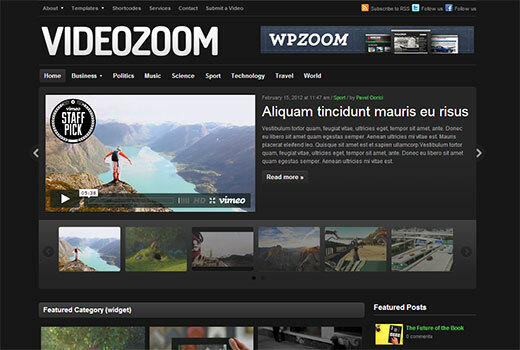 Videozoom is a WordPress video theme with different built-in video options on the post edit screen. It has a video slider on the homepage with thumbnail previews. It consists of four column layout, layout switcher on the front-end and three color skins. 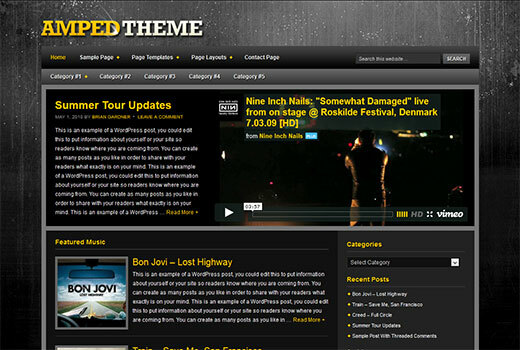 Amped which is developed by StudioPress is built upon Genesis Theme Framework. It is used for supporting multimedia formats. 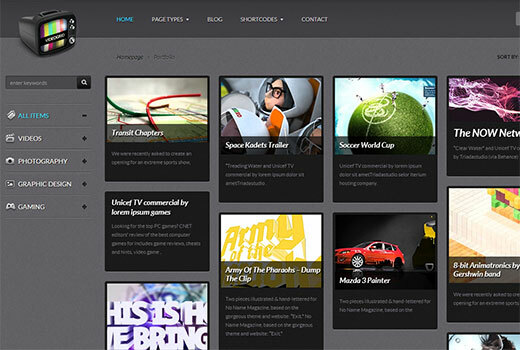 There are six layout choices, theme options and featured image support. Sundance is a good choice for those who are looking a free WordPress theme. 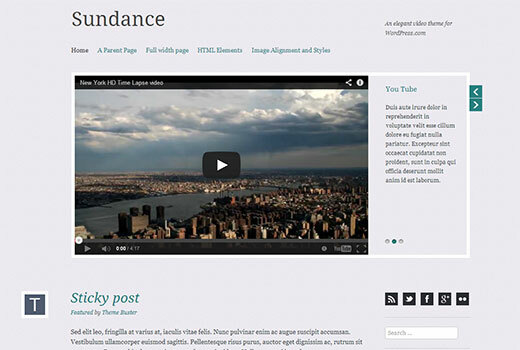 Sundance is designed as a best wordpress theme for video site. There is a video slider on the homepage. It looks elegant and clean with its minimalist design approach. It comes with a custom link feature that allows you to link to your social media profiles. It also support video post format and standard theme features such as custom header and custom background. 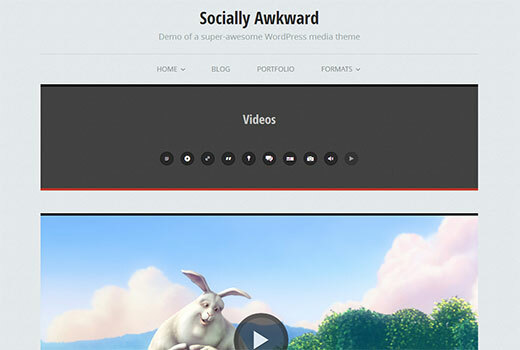 Socially Awkward by Justin Tadlock is a best responsive wordpress theme for video. Therefor, you totally feel free to use this WordPress theme when your site has to display different post formats. It allows you to link your social media profiles and supports all the standard WordPress features. Especially, this is a free WordPress theme. Postline is a premium WordPress theme styled by Facebook Timeline. 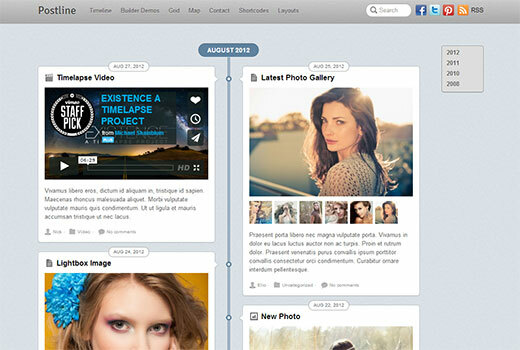 If you aren’t interested in timeline vuew, you can choose grid view or any other layout available with the theme. It comes with built-in support for jQuery lightbox popup to display images and video content.